In schools across the country, children begin their day with The Pledge of Allegiance. 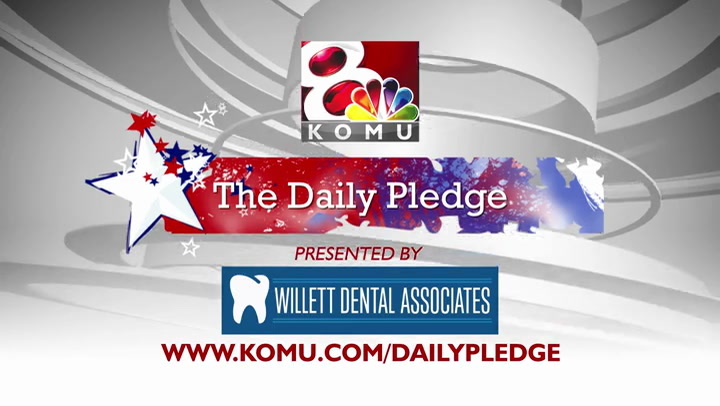 The Daily Pledge on KOMU 8 is brought to you by Willett Dentistry - creating beautiful smiles, one visit at a time. © 2019 KOMU 8 and the Missouri School of Journalism at the University of Missouri. Some information courtesy Associated Press. All Rights Reserved. Powered by: Lunabyte, Inc.